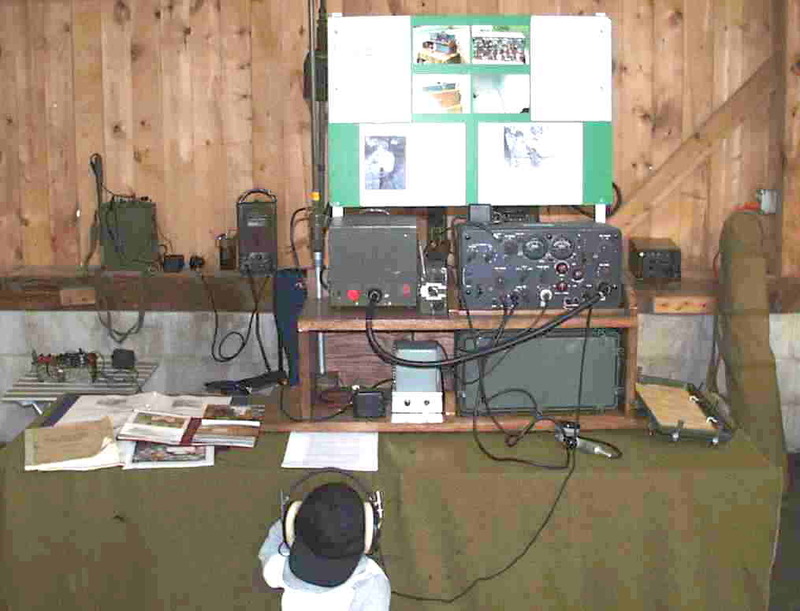 The first year at Gilbert, Pa.
Pete, WB2JWU, checks in on a GRC-9 from Little Gap during Friday's field exercise. 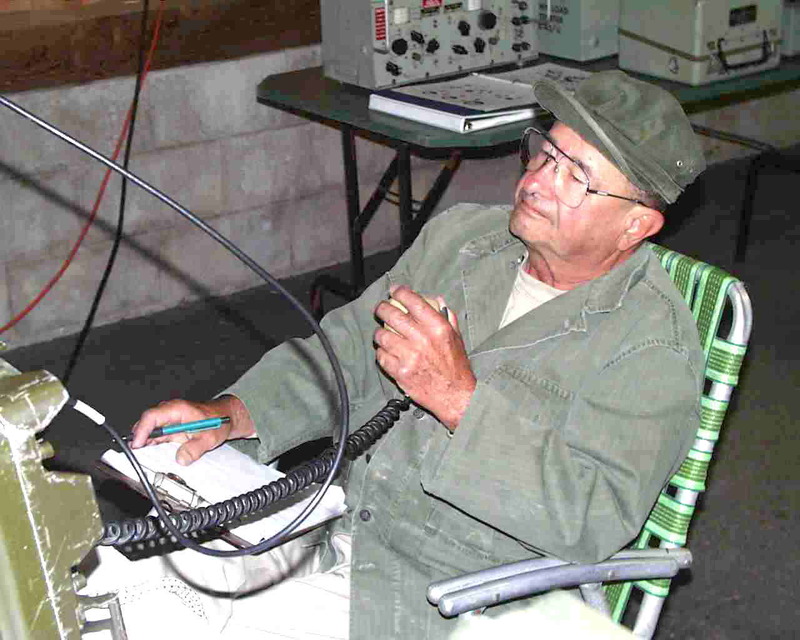 Bud, WA2AUI, supplies the power via the GN-58. 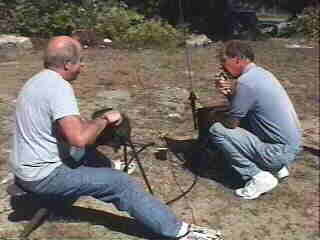 Pete takes his turn while Bud operates CW. 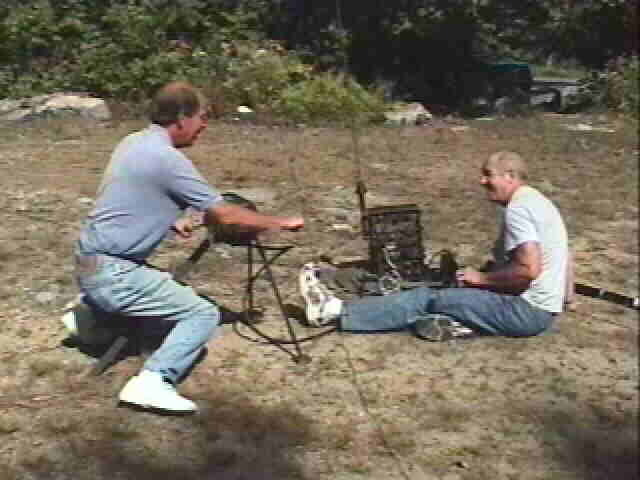 Saturday morning, NCS W3PWW, Ted, calls up the Old Military Radio Net in the pre-dawn gloom at 05:00 sharp on his GRC-19.. 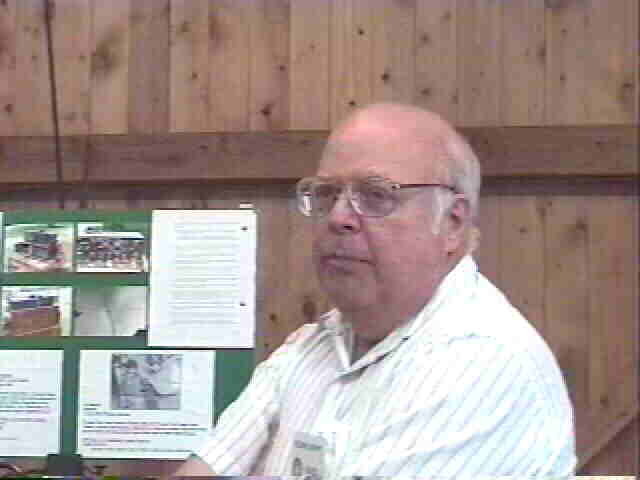 Norm, N3RZU, did a marvelous presentation on the radio equipment used by the WWII Navajo code talkers. 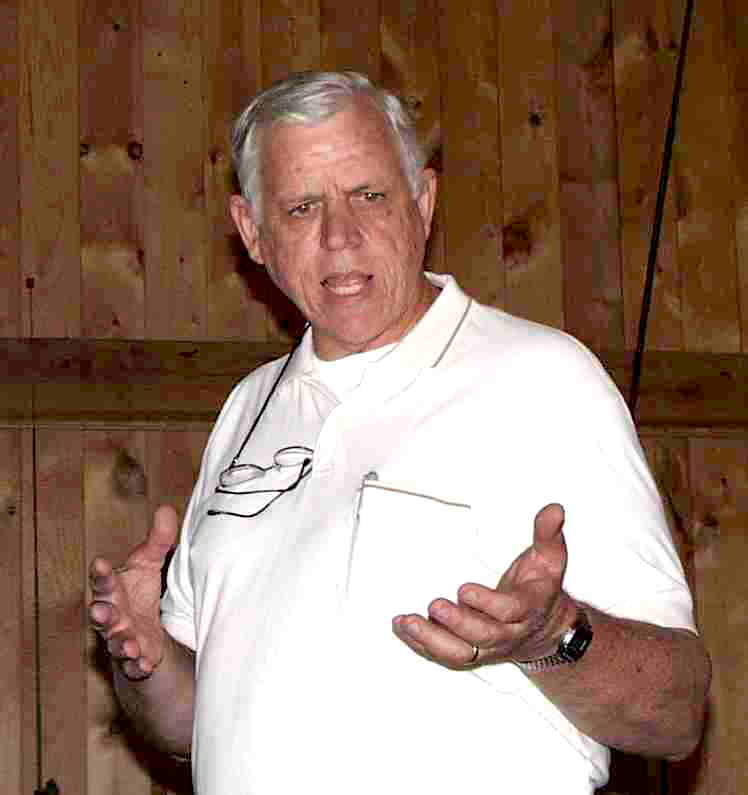 Command-set maven Gordon Elliot White shared his accumulated wisdom with us. 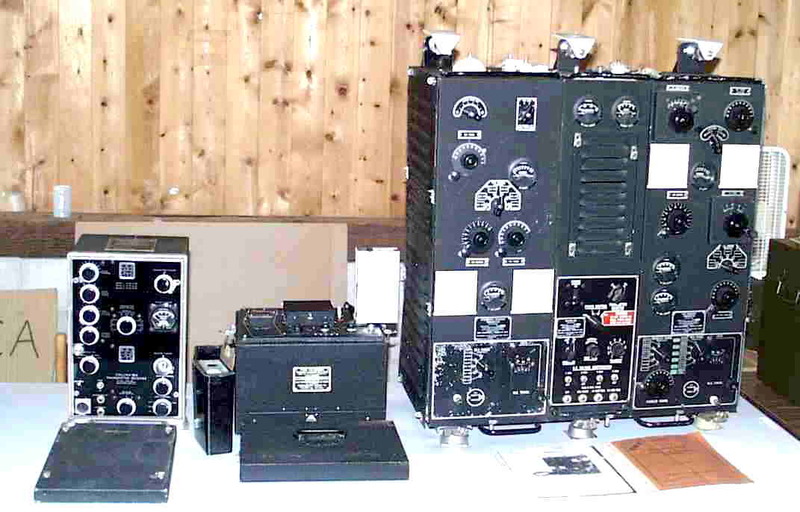 Navy RAT's, the earliest of the "modern"
Priceless Aircraft Radio Corporation receivers brought by Gordon White. 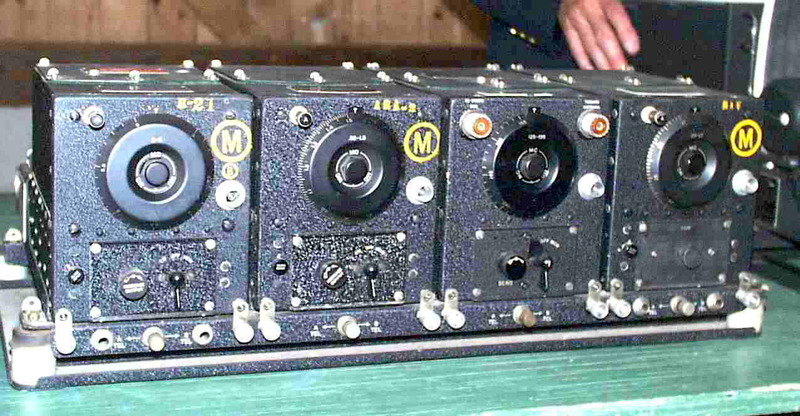 Left to right, R-21/ARC-5, ARA-2, R-113/ARC-5, and RAV, all on an RAV four receiver rack. The M inside the circle signifies part of the "morgue" or museum collection from the ARC factory. 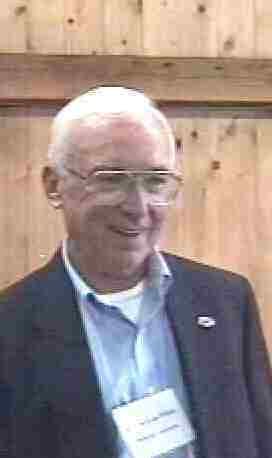 Mike Hanz spoke of the ongoing effort to restore the "raven" (ECM) equipment on the B-29 "Enola Gay" at the Smithsonian. 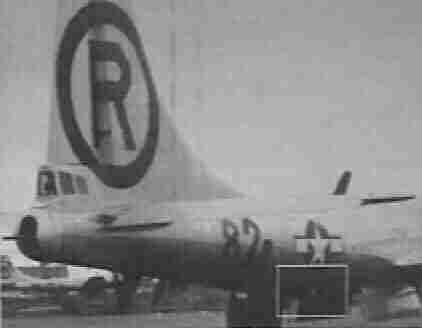 There's a lot of detective work to be done, as the plane was flown and further modified for a year after the Hiroshima attack. 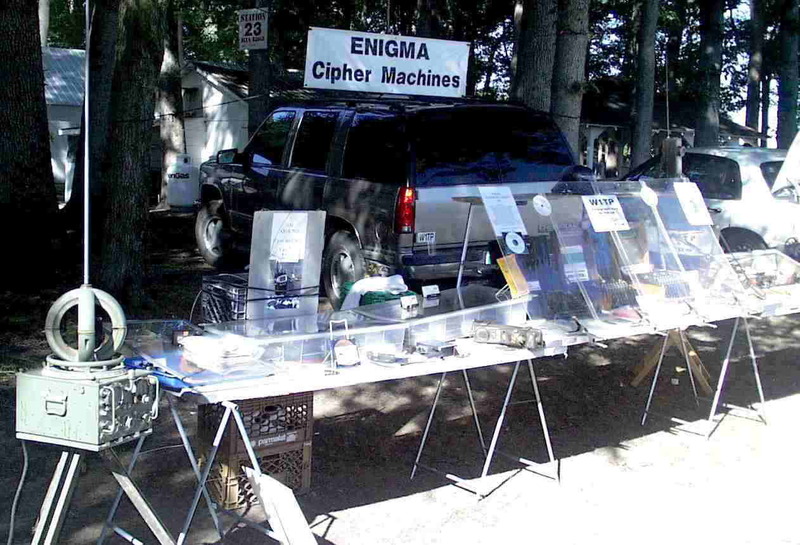 Tom Perera had three Enigma's in tow, and delivered an excellent presentation on same including a working computer simulation. More N3NNG: Canadian/British W.S. 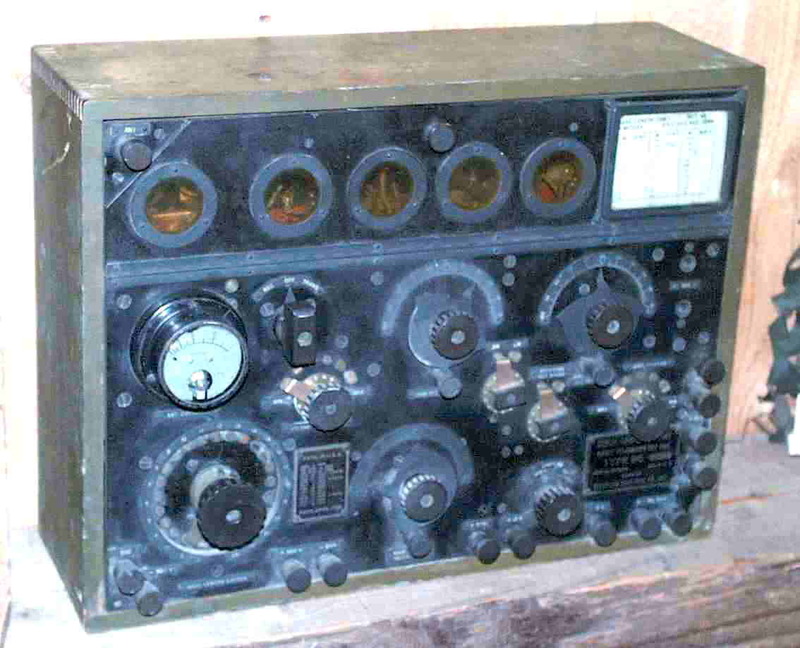 52 Remote Receiver w/power supply on top, 1943; British R.1155 Aircraft Receiver, WWII; British T.1154 Aircraft Transmitter, WWII. 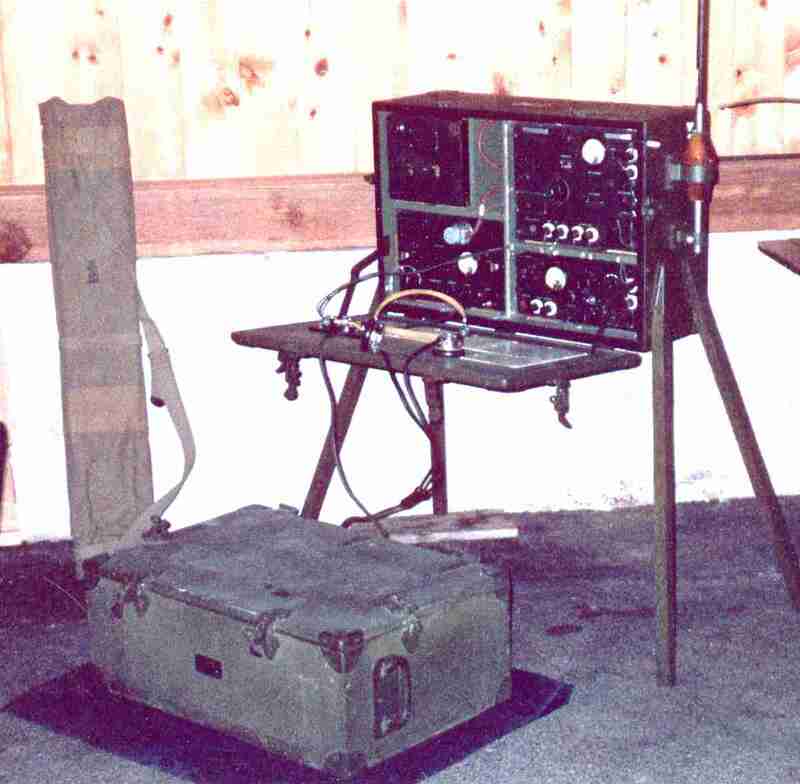 N3NNG's SCR178 - From left to right: BG-58 antenna bag, CH-39 equipment chest (on floor), CH-38 operating chest containing BC-186 receiver, BC-187 transmitter, BC-188 modulator, and BX-4 Battery box. 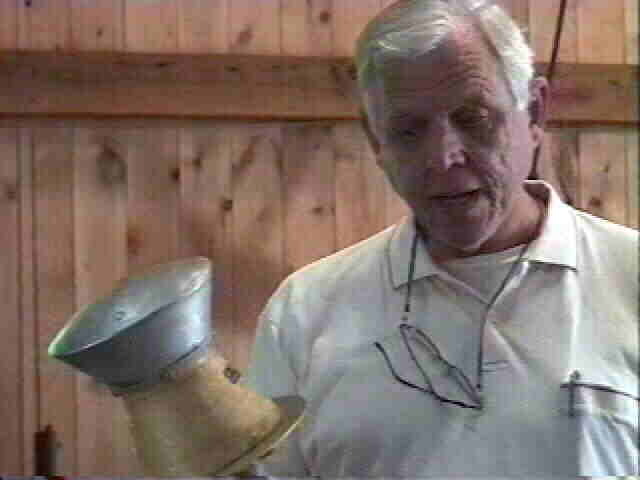 Pete Graves's spy catching BC-792 direction finder. 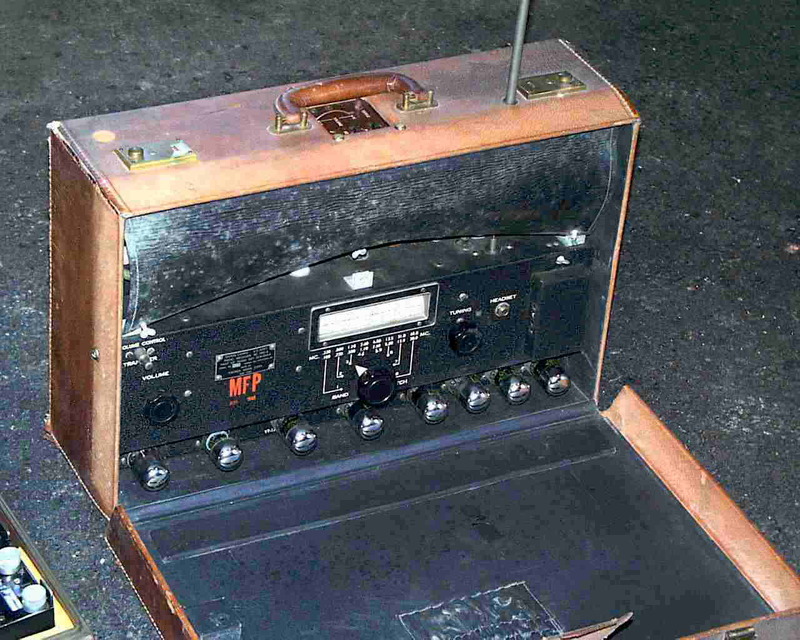 Paul Weidenshilling's much coveted BC-32. 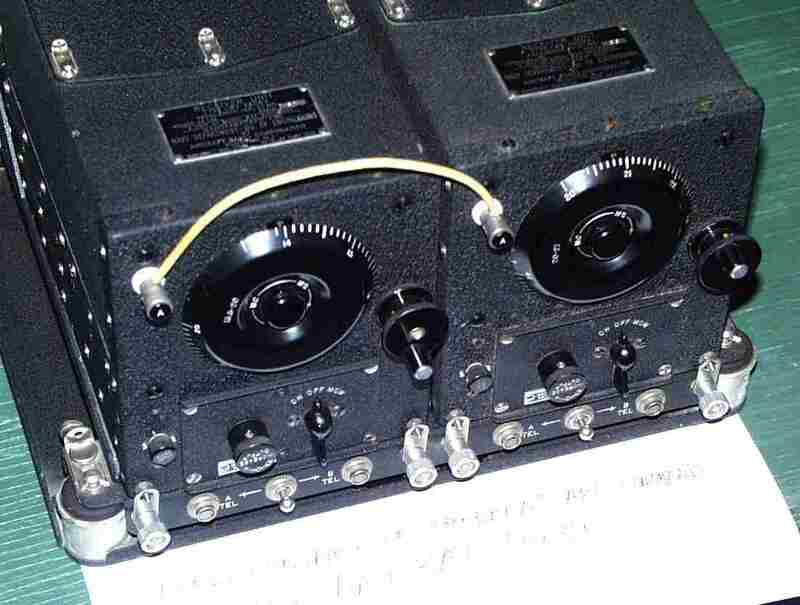 Two of Paul Bernhardt's radios: The BC-648/ARR-41, on the left, is a "light-weight R-390" designed to replace the vererable BC-348 in aeronautical applications. 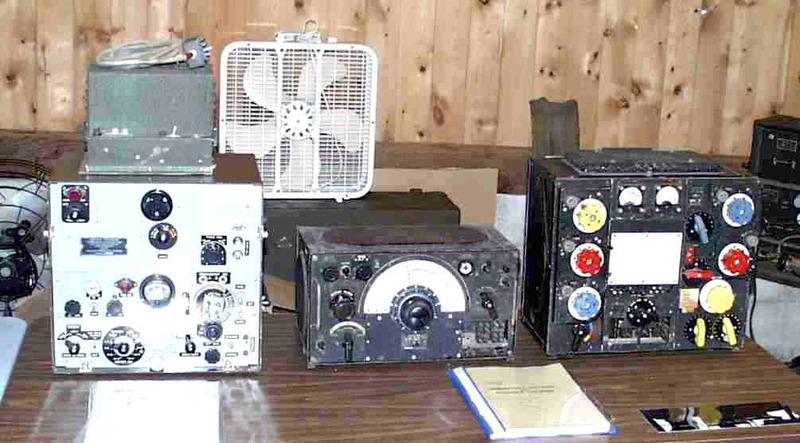 The 51S-1B, on the right, is an SSB-era replacement for the ARR-41. Both are Collins products.